Sometimes it’s hard to enjoy the health benefits of CBD oil if you’re the kind of person who prefers e-juice with a deep, rich plummy taste that satisfies every time you vape. With this Route 66 Dark Berry CBD e-liquid, however, all bets are off – and you can prepare yourself for a vaping sensation unlike any you’ve ever had. 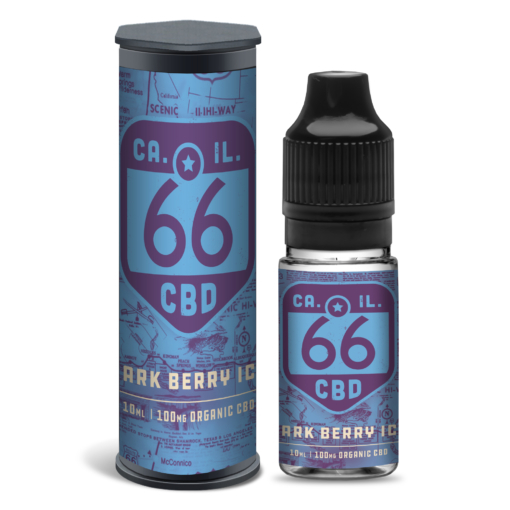 With 100mg of organic CBD inside this 10ml bottle, our Dark Berry CBD e-juice is compatible with all vaping devices. 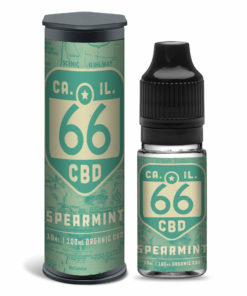 And thanks to its base ratio of 40/60 vegetable glycerine and propylene glycol, you can enjoy big clouds along with a satisfying throat-hit every time. Of course, we know that there are those who prefer their CBD oil to be a little less strong – especially when they are first starting out. So, don’t forget that this CBD oil can always be diluted if necessary. Our customers love our Route 66 Dark Berry CBD Oil, but if you’re looking for something a little less sweet, why not try our Route 66 Menthol CBD e-liquid? Due to our certification with the FDA, we follow the law to the letter. Any required testing or guidelines required to sell CBD products have been completed. Our secure, encrypted payment gateway ensures privacy when purchasing. Any queries will be dealt with swiftly, thanks to our fantastic customer service.